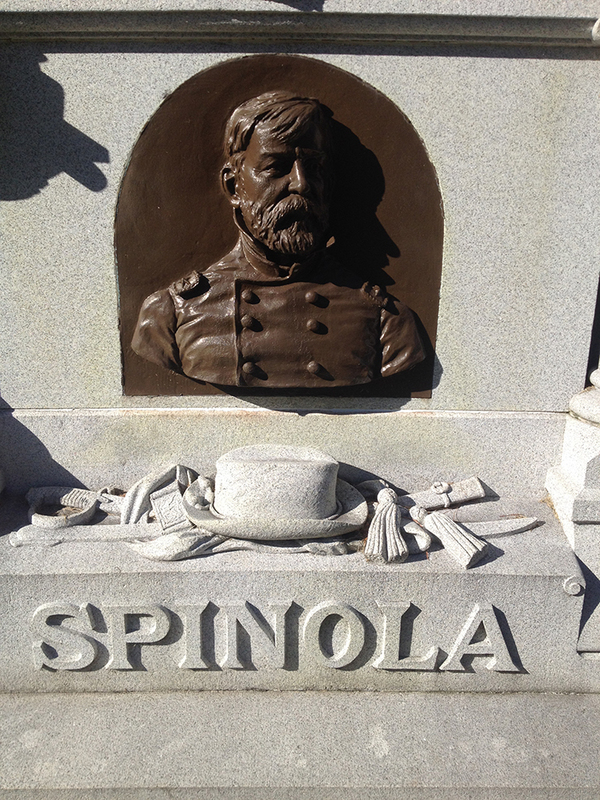 This rather distinguished and eye-catching memorial belongs to Francis B. Spinola (1821-1891). 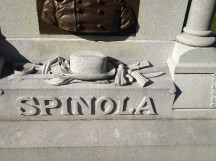 Spinola is best known as the first Italian-American to serve in the U.S. House of Representatives. But really, that doesn’t even begin to sum up the life and career that Spinola enjoyed. 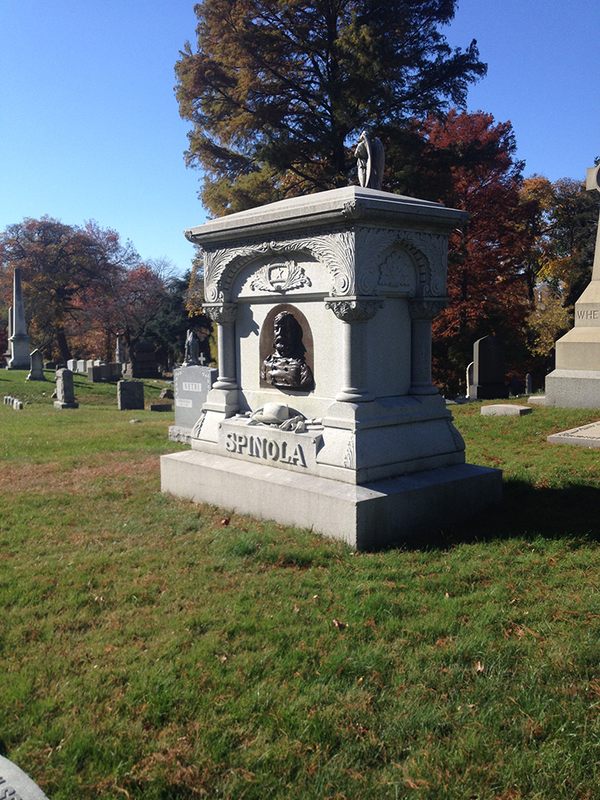 Born near Stony Brook, Long Island, Spinola grew up in a wealthy, influential family. 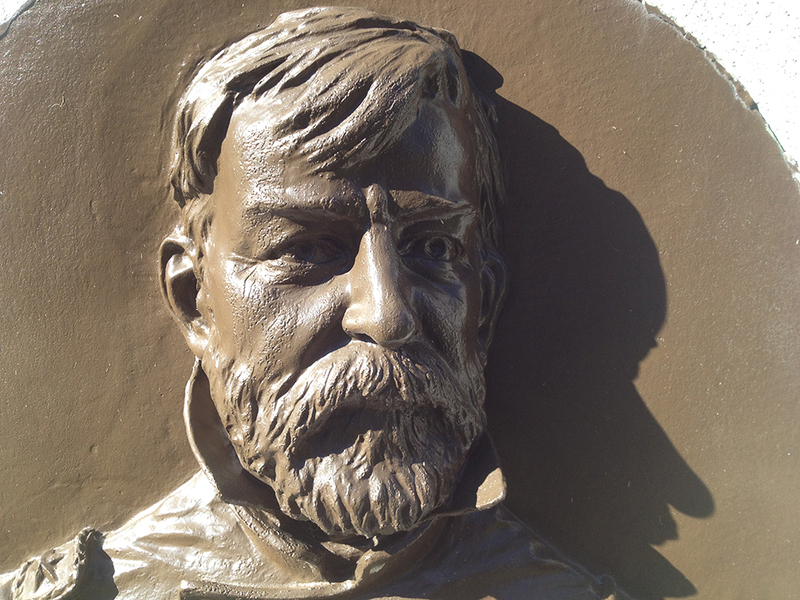 After a swanky private education, he set up practice as a lawyer in Brooklyn. 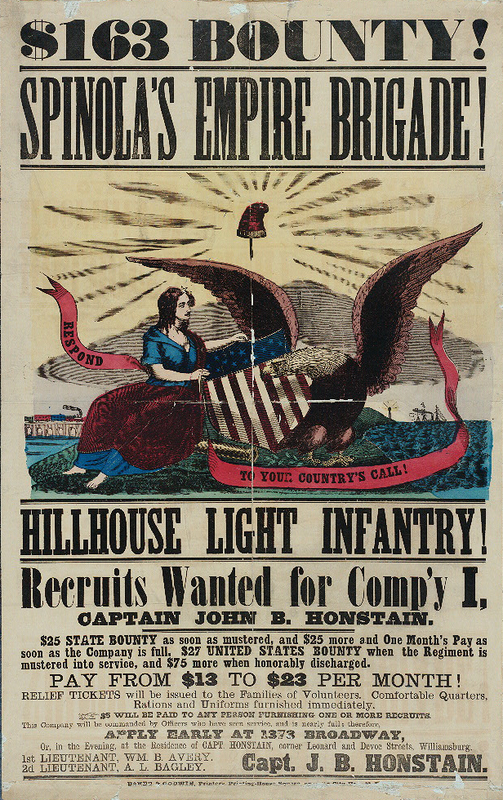 In the 1850s he was part of the “Secret Police” that helped to keep peace on the gang-ridden streets of New York. 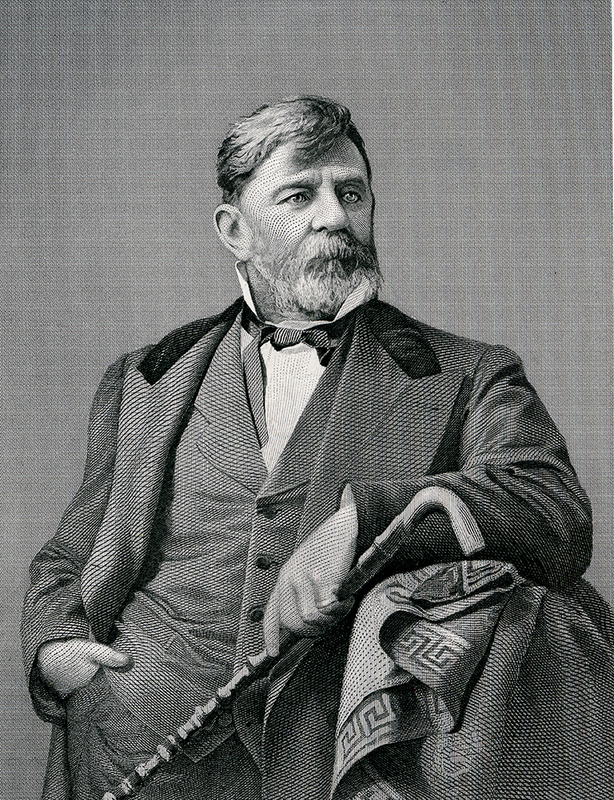 He was an alderman several times, a member of the NY State Assembly, a NY State Senator, and also the Commissioner of the New York Harbor–all before the age of 40. 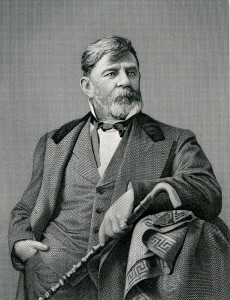 After the Civil War he served as alderman again, and eventually landed a position in the U.S. House of Representatives. 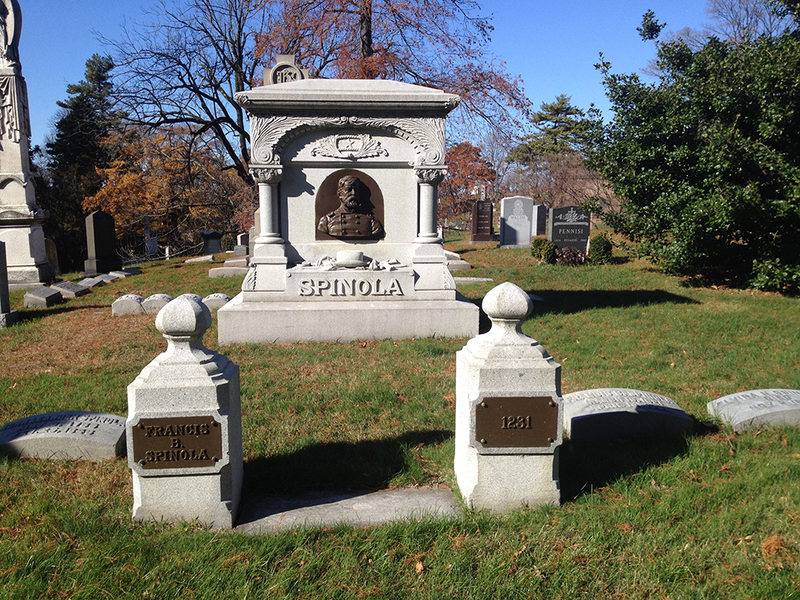 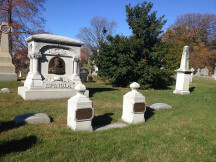 I wander around Green-Wood Cemetery. 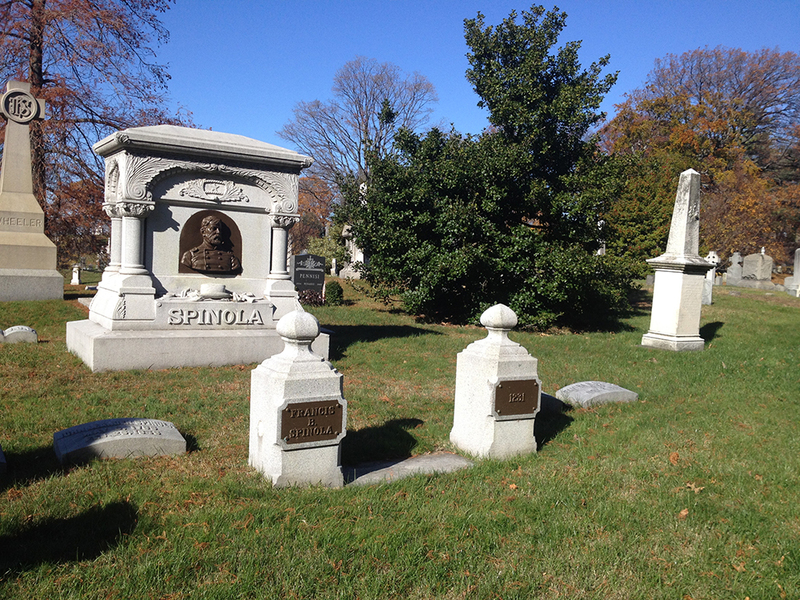 I take pictures. I Google stuff.